Some of my co-workers had trouble choosing a canvas for a dream build this year, but I've known since last fall when I first threw a leg over Evil's The Following. When I got on the phone with the company's boss-man, Kevin Walsh, to order one, he told me about his latest bike, a 6-inch 29er called The Wreckoning. I quickly adjusted my order, figuring that if anyone could make a long-travel wagon-wheeler feel sprightly, it'd be these guys. And, honestly, for a bike with a 48.5-inch wheelbase and a coil shock (we'll get to that later), it pedals phenomenally. 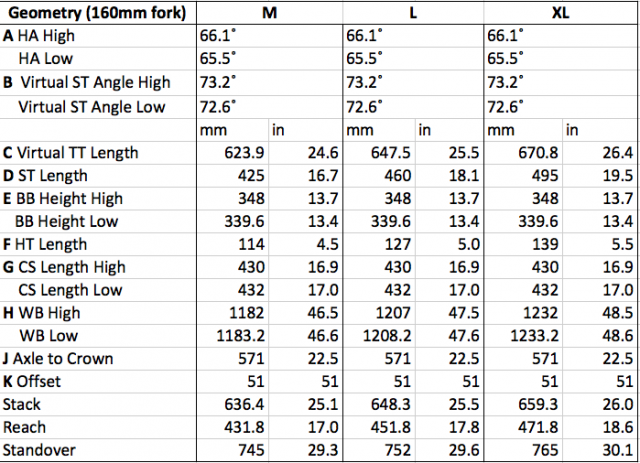 The climbing efficiency of the bike's D.E.L.T.A. link platform is astounding, giving support while still allowing the suspension to remain active enough to provide excellent traction. But let's not kid ourselves here; all the pedaling support in the world doesn't disguise this bike's true purpose. Climbing isn't The Wreckoning's specialty; the bike's slack angles and cloud-like suspension reveal this bike’s real personality. On a 29er with a 160-millimeter fork, the 66-degree head angle makes the bike floppy on the climbs, but gives downhill-bike levels of stability when things get fast and hairy. It's impossible to describe just how little The Wreckoning cares about what line you take, though it'll change lines as soon as you tell it to. If you're going warp speed, that is. Even though it'll handle slower speed terrain–especially chunky stuff–with dignity, it's best suited for ultra-fast or extra-steep terrain. My primary gripe is with the bike's chain clearance at the chainstay. In the 10-tooth cog, with a 30-tooth ring, the chain sits about a millimeter away from the stay, causing loud chain slap, even with Evil's integrated chainstay protector. For my dream build, I decided to do something a little different for the drivetrain. The shifting speed and accuracy of Shimano’s XTR Di2 is simply outstanding. There's nothing wrong with mechanical shifting, but Shimano's robots shift way better. 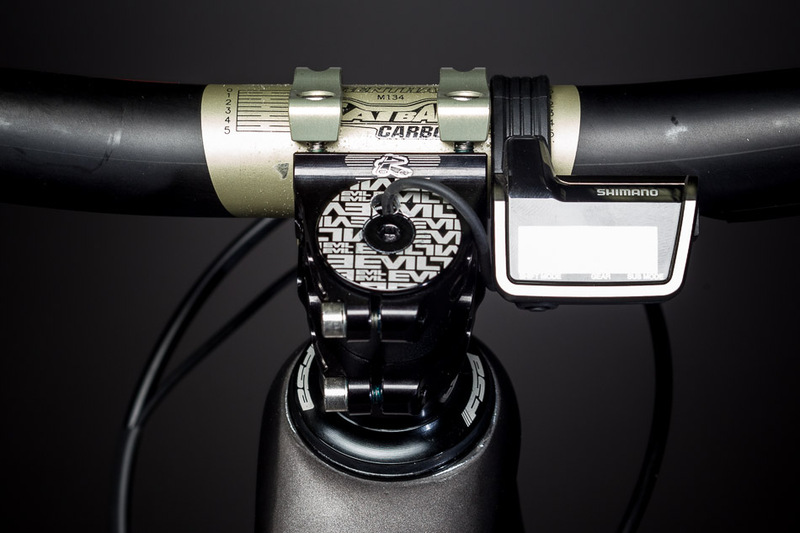 So why the SRAM/Shimano mash-up? Typically, I'm a strong proponent of running the drivetrain as a system. As in, every drivetrain component from the same manufacturer: It's the best way to guarantee that the parts will all get along. 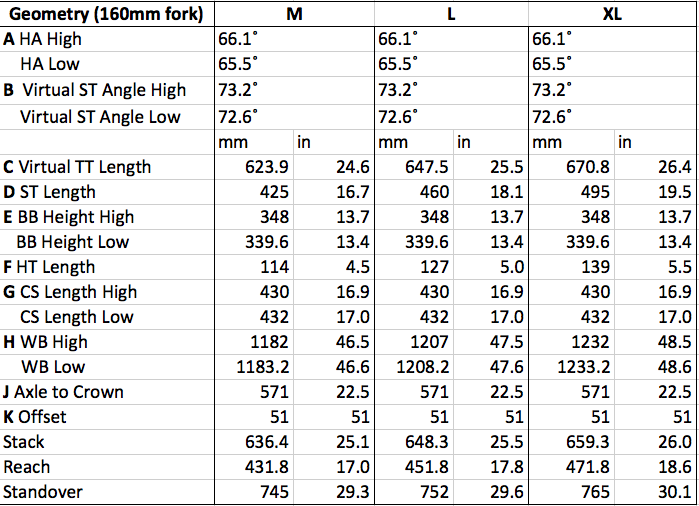 But SRAM's 10-42 cassette has a wider range than Shimano's 11-40 XTR and 11-42 XT clusters, and since they all have the same cog spacing, I opted to take the mix-and-match route. Shimano's cassettes still have a slight advantage in shifting speed and accuracy over SRAM's but the Di2 derailleur doesn't really care. It'll pop off shifts better than anything on the market, even on a cassette it wasn't designed to shift on. I love the look and flexibility of SRAM's X01 crank, on which I chose to install a SRAM direct-mount ring. I went with a 30-tooth for this long-travel 29er, but The Wreckoning pedals so well that I may bump it to a 32-tooth. The Wreckoning comes with a RockShox Monarch Plus Debonair shock, but I had something a little more boutique lined up for my dream build. Franco Fratton developed the most innovative dampers in the world of motorsports throughout his 55-year career. 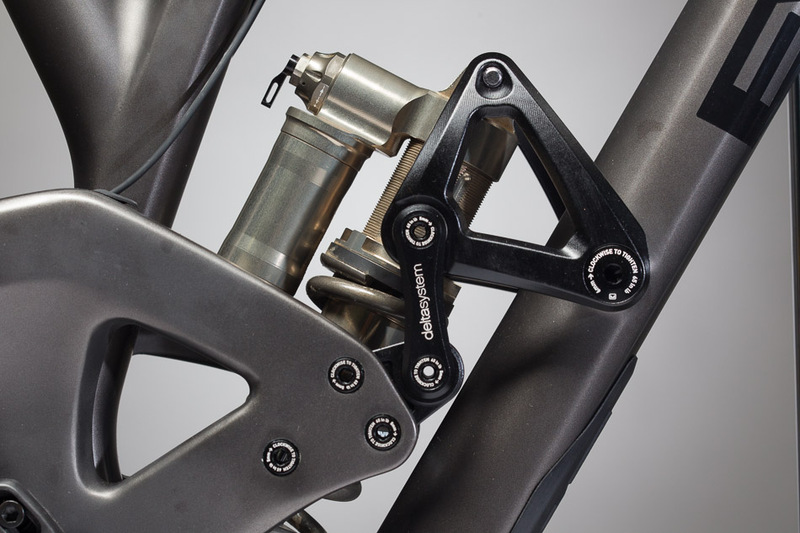 Eight World Rally champions and the Williams Formula One team have run suspensions designed by Fratton, and his current company, Extreme Shox, is now making mountain bike dampers, offering two coil-sprung shocks. The EXT Storia shock, built for enduro racing, runs low pressures and suffers very little cavitation and hysteresis. It's not only a work of art; it seems to actually manufacture traction. I'm confident that this shock lets me ride faster and with more control. I had a hard time choosing between the Fox 36 or Rockshox Lyrik up front. 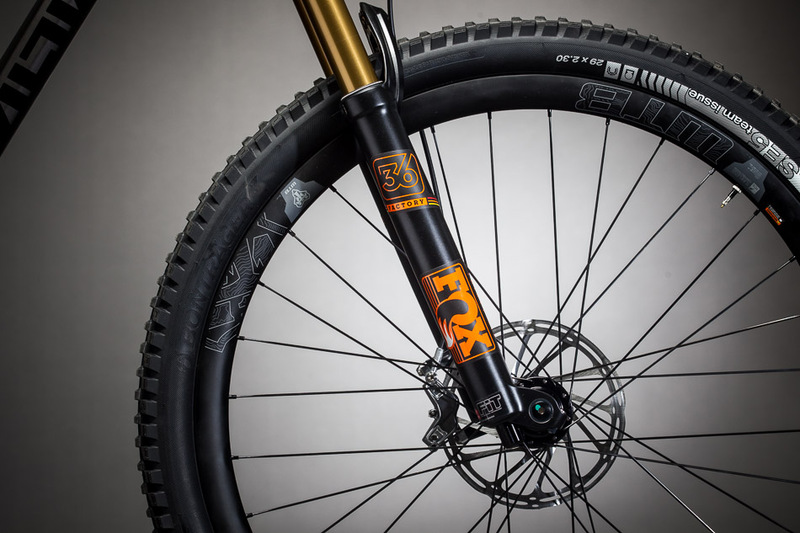 Both are fantastic forks, but I opted for a 160 Fox 36 because it offers high-speed damping control and has the ability to adjust travel without ordering new parts. I can experiment with a 150-millimeter setup if I want, and not be out of pocket if it doesn't work out. After some time on The Wreckoning, I've decided to swap the air spring out for a TALAS, so that I can adjust the travel down in order to make the bike more manageable on long, steep climbs. In my opinion, this bike is an ideal candidate for a travel-adjust fork. And I of course needed to find just the right wheels for my dream build to roll on. There are plenty of great pre-built wheels out there, but I wanted to build something special. I absolutely hate loud freehubs, so when I saw Onyx Racing's silent, instantly engaging, sprag-clutch hub, I had to try it. Not only are they silent, they also have almost zero drag, making them some of the fastest hubs on the market. Rolling through the woods without a sound is a pretty remarkable thing. There are several popular wide rims to choose from right now, but for me, the jury is still out on them because they affect tire shape so much that only some tires work well. This is why I chose the new WTB Ci24 carbon hoops for my wheel build. I built them with DT Swiss Aerolite spokes because they're strong, light and are a pleasure to build with, and I wrapped these beauties with the new Bontrager SE5 Tires. I rounded out my build with a KS Integra dropper with Specialized SRL lever, a Renthal Fatbar Carbon handlebar cut to 760 millimeters and a 40-mil Renthal Apex stem. Pretty dreamy indeed. Details are still scant, but here’s the geometry chart for the Wreckoning. Frames will ring up at $2,899 with a Monarch Plus Debonair.